Padraig Harrington is “anxious” to give himself an early Christmas present by ending his two-year winless streak. The Dubliner, 39, will take on star attractions KJ Choi, Retief Goosen and Colin Montgomerie in the Asian Tour’s Iskandar Johor Open in Malaysia. And with only five events remaining before he packs his clubs away for the winter, he’s determined to get his first win since the 2008 US PGA. Hoping for a good week on the greens after a tired performance in last week’s Dunhill Links, Harrington said: “I’m anxious. I’ve got about five more events and I’m anxious to get at least a win which will make my Christmas better. This is a good week to start. “Like all professional golfers, we could always do with holing a few more putts. I just have to be patient and let it happen. “Certainly the game is good enough to win. I’ve just got to make sure that I get out of my own way and let it happen. “I’ve had a strange year. Unusually for me, I’ve played a lot better in practice than I have in tournament play. I used to be the opposite. I haven’t really brought to the golf course. “I’ve had plenty of top-10s but I haven’t won a tournament and it is all about winning tournaments. You have to get across the line. Padraig Harrington made eagles at two of his last three holes to open with an eight under 64 and share the lead in the Iskandar Johor Open. 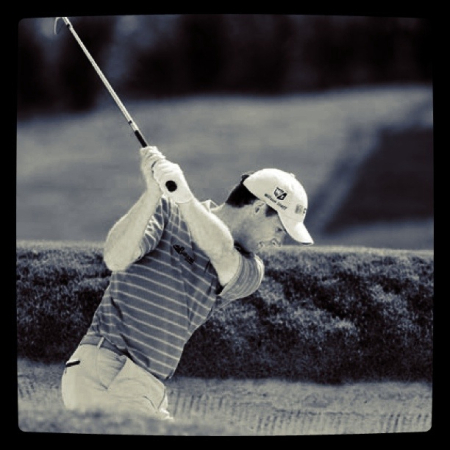 Winless since his victory at the 2008 US PGA Championship, the Dubliner drove the 314-yard 16th and sank an 18 footer for an eagle two before draining a 25 footer at the par-five 18th. 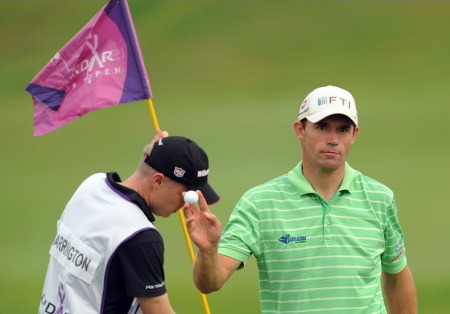 Padraig Harrington overcame some “horrible” golf with some trademark putting magic to grab a one stroke lead at the Iskandar Johor Open in Malaysia. Ireland’s three-time major champion moved closer to ending his two-year victory drought when he hit an eagle and four birdies in a super 67 to head the field on 13-under par at halfway. The Dubliner, 39, confessed he had “the luck of the Irish” as he hit a 69 to cruise to a three-shot victory in the $1.25m Iskandar Johor Open in Malaysia for his first tour triumph since the US PGA nearly 800 days ago. Now he’s hoping his luck has changed after a horror run and he’s gunning to turn a disappointing season into a bumper year by chasing victory in Shanghai, Singapore and Dubai next month. 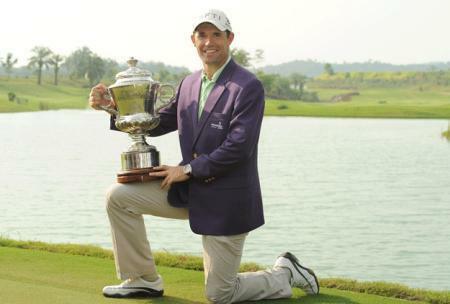 Padraig Harrington insists he hasn’t gone from zero to hero overnight despite ending his two-year victory wait in Malaysia. The Dubliner, 39, broke his winless streak when he roared to a wire-to-wire victory in the Iskandar Johor Open on Sunday. But he has no doubts that he is still the same guy who needed a Ryder Cup wildcard and missed the cut in three of the four majors.